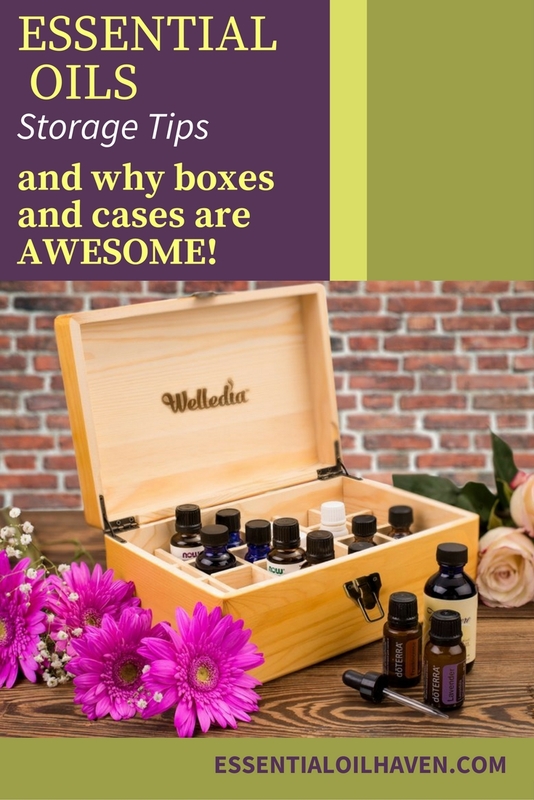 Home » Essential Oil Storage Tips and Why Boxes and Cases Are Awesome! 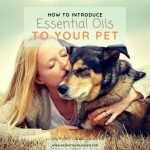 Essential Oil Storage Tips and Why Boxes and Cases Are Awesome! 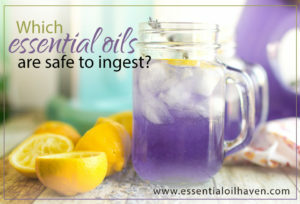 If you own essential oils, perhaps you’ve wondered about how and where you should best store your essential oils. 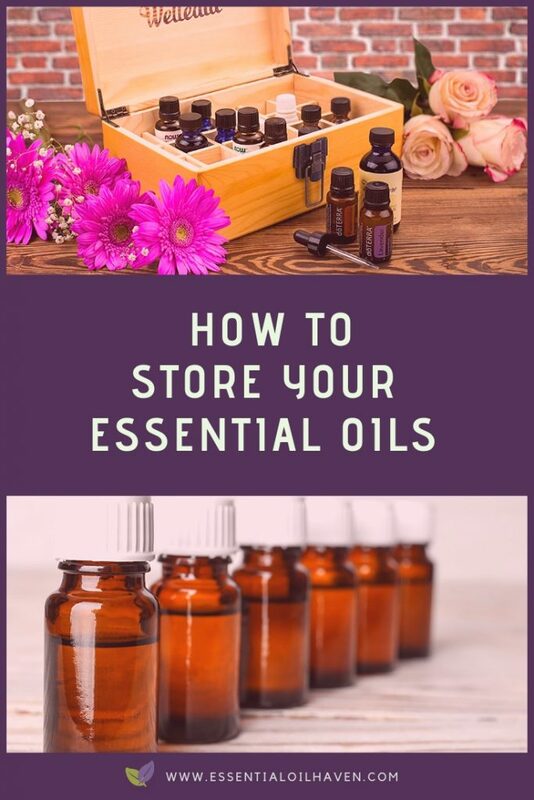 Yes, providing your essential oils with an ideal storage environment will help you get the most out of your oils, and this article is to help you understand what factors play a role in essential oils storage. 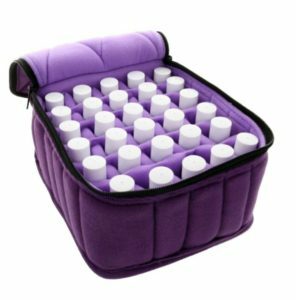 Also, I’ll show you a few essential oils storage box and cases options that you might like to consider adding to your oils organizing system! But first off, why would you bother with a special storage system for your oils? 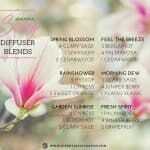 What Factors Affect My Essential Oils? 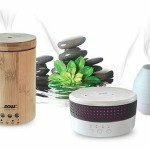 Heat and Light – Essential oils are flammable. 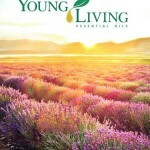 The sun’s rays can easily make the temperature of your essential oil increase, which may destroy the oil’s properties. Avoid storing your essential oils on top of a hot surface such as a wood stove or a gas range. Make sure to also avoid leaving your essential oil near the window or any place where sunlight can make contact. 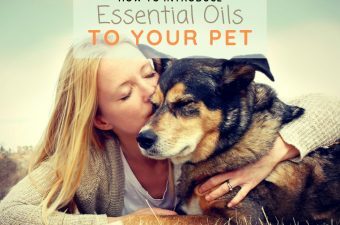 Temperature Changes – Essential oils (and vegetable oils, too, actually) don’t react too well to sudden temperature changes. 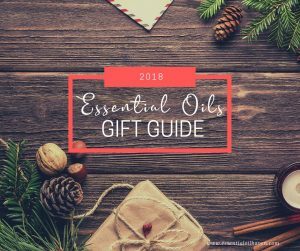 Extreme changes in temperature can cause the therapeutic properties of your oils to be diminished, which is not something you want, considering that some of these oils aren’t exactly cheap. Keeping your oils safely tucked away in a proper storage unit will ensure more consistent temperatures in the bottles and their contents. Moisture and Oxygen – Oxidation can occur if the essential oil is exposed to oxygen (fresh air). A consistent contact with the air will deteriorate the oil’s properties and increase the evaporation. When opening the oil’s container, make sure not to let it stay that way especially for a very long time. Also make sure to avoid letting water make contact with the oil because it could let it become cloudy or worse, the water will leak to the bottom of the oil and dilute its properties. Essential Oils Storage Wooden Box – Fits a Variety of Types and Sizes of Bottles. Avoiding heat and light is the primary reason why a good storage unit for your essential oils is needed. You need to find a cool and dry place. 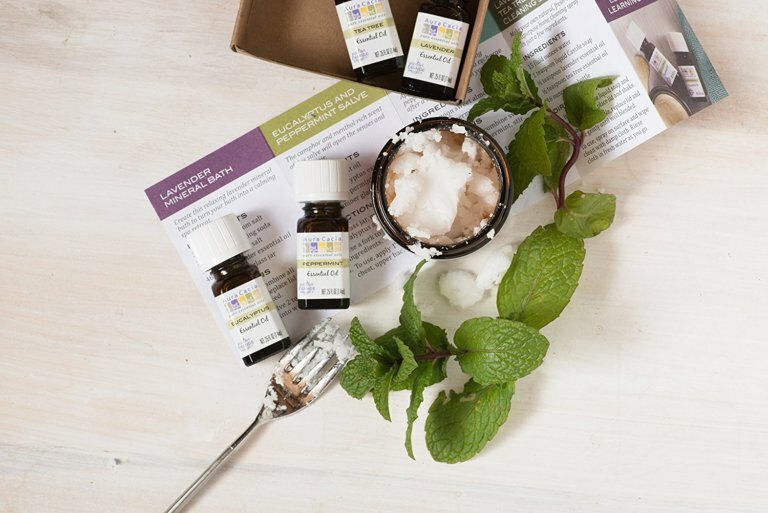 The cupboards in your kitchen and bathrooms are some of the best places that you can store your essential oils in as they are mostly dark and somewhat consistent in temperature. 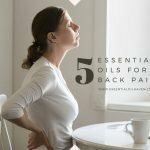 Where Should Essential Oils Be Stored? It doesn’t really matter what room of the house you keep your essential oils in. Personally, I like the medicine cabinet in the bathroom. 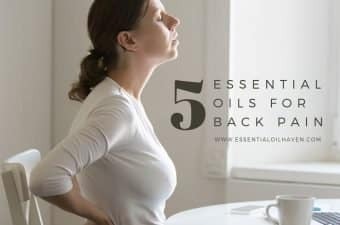 However, some people also like a kitchen cupboard, pantry, or drawer in your bedside table for quick and easy access whenever you’re in need of an oil. The important thing is that you store your oils in a dry, dark and cool place. DO NOT keep them on a sunny window sill, for example. 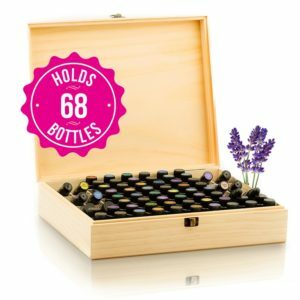 This Wooden Essential Oils Storage Box fits up to 68 Bottles! You can also buy wooden boxes especially made for essential oils storage to maintain the best possible quality of your oils. These boxes are economical and can be a great place to keep your essential oil bottles. 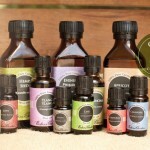 Mine is like my “medicine cabinet” – no matter which oil I need, I pull out the essential oils box and select my choice. The storage boxes come in many different styles and sizes to suit everyone’s taste. One thing to look out for when shopping is to make sure that your essential oils bottles will fit into the storage container. PRO TIP: Check the essential oil bottles you already own to see what size they are. If you have “larger bottles”, they’re likely somewhere around the 10-15 ml in size. However, some also come in 5ml, 25ml or 50ml. So just check your essential oil bottle size and be sure the storage solution you’re thinking about will work for your library! This fabric storage case holds 30 oil bottles. Many cute and absolutely functional storage cases are available for you to choose from. This choice of mine here fits 30 bottles of various sizes – 5ml, 10ml, 15ml and roll-on bottles. I liked it because it was purple and girly, and would stand out from the rest of my bathroom organizational items. It’s also less than $20 so well worth the investment to stay organized and uncluttered! 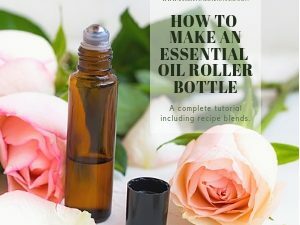 Essential Oil Bottles: For the bottles, it is recommended that you use the bottles colored in cobalt or amber rather than using clear glass bottles as to avoid exposing the oil to additional light. The majority of essential oils are already stored in these colored glass bottles when you purchase them. Keep in mind that you most definitely shouldn’t keep your essential oils in a plastic bottle since this material is corrosive and can easily eat away the container. Bottle Droppers: Don’t ever purchase essential oils that come with rubber droppers incorporated on their screw caps. The reason for this is that the oil is so concentrated that it can easily turn the rubber into a gum-like substance and will eventually ruin the essential oil. 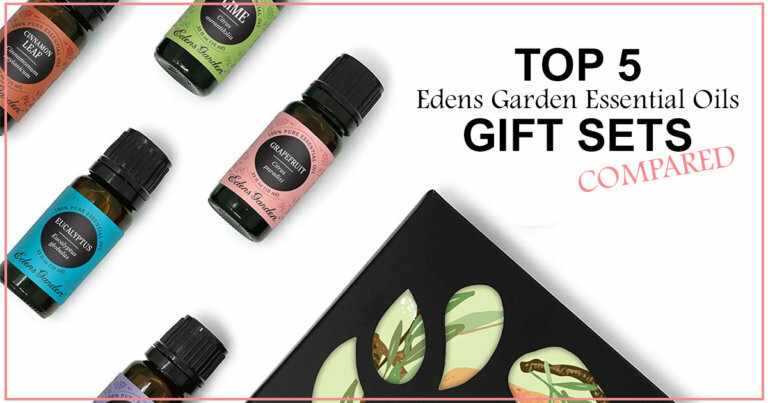 Instead of a rubber top, most essential oils come with an orifice reducer. The orifice reducer is a small, clear insert inside of the bottle’s opening that is acts as a built-in reducer. It sounds a little bit strange at first but once you get used to it, you’ll see how handy of a dispensing device it can be. All you have to do is just tip the bottle a little bit and you can dispense the oil drop by drop. 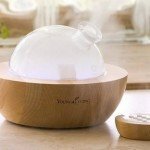 Shopping for Essential Oils Storage Boxes? I am going to be moving soon, and my wife is super worried about something happening to her essential oils. So she decided to put them in our storage unit. 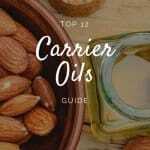 This being said, I really appreciate you talked about this Emma, and giving me some great tips on how to store these oils properly. I’ll make sure I talk to my wife about this right away. First of all – thank you for your insights and reviews and know-how! I am just getting started. (and already have an assortment!) Your site is way helpful! 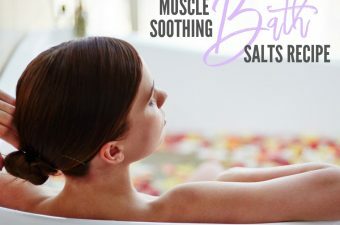 Anyway – not so sure you should keep the oils in a bathroom that gets warm, humid, and at times, steamed up… too warm and too humid. i keep mine in my little ‘craft corner’ in another room, or, keep them in a hallway linen closet? 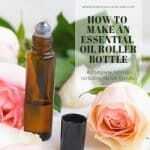 Can you use a bottle with a rubber dropper if the oils are already mixed with a carrier oil? I love this website, thank you so much! 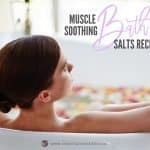 There is tons of unbiased and terrific information here and I love how you have links to answer any question I could have. I am just starting to research essential oils and I grow most of my own nutrition and medicine. I also backpack, hike, and camp a lot though and want to know more herbology so I can condense my food and medicinal travel packs with me. 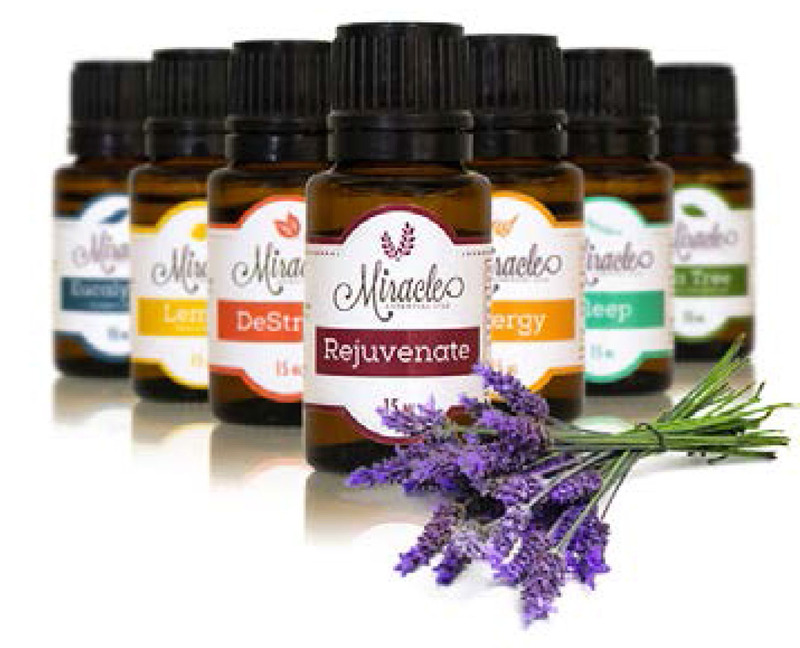 I think essential oils are a terrific way to do that because of their varied uses. Thank you so much for helping me with research! 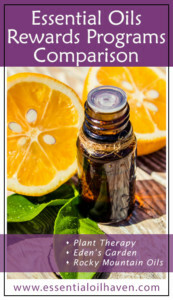 Essential oils are mostly prone to oxidation, therefore, make sure to avoid storing it in refrigerator. 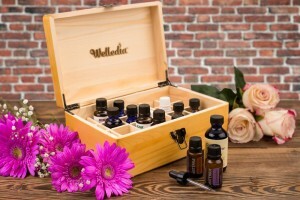 You can also store oils in aromatherapy box, which will keep the oils safe from extreme temperatures. You can use products such as Cobalt Blue Boston round glass bottle and dark colored glass dropper vials to store oil.